Richard Baxter (12 November 1615 – 8 December 1691) was an English Puritan church leader, poet, hymn-writer, theologian, and controversialist. Dean Stanley called him "the chief of English Protestant Schoolmen". After some false starts, he made his reputation by his ministry at Kidderminster, and at around the same time began a long and prolific career as theological writer. 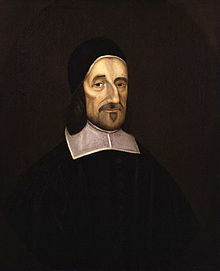 Richard Baxter(1615-1691) was a prominent English churchman of the 1600s. He was a peacemaker who sought unity among Protestants, and yet he was a highly independent thinker and at the center of every major controversy in England during his lifetime. Born in Rowton to parents who undervalued education, Baxter was largely self-taught. He eventually studied at a free school, then at royal court, where he became disgusted at what he saw as frivolity. He left to study divinity, and at age 23, he was ordained into the Church of England. Within the Anglican church, Baxter found common ground with the Puritans, a growing faction who opposed the church's episcopacy and was itself breaking into factions. Baxter, for his part, did his best to avoid the disputes between Anglicans, Presbyterians, Congregationalists, and other denominations, even convincing local ministers to cooperate in some pastoral matters. "In necessary things, unity; in doubtful things, liberty; in all things, charity," he was fond of saying. The interest in cooperation was not due to a lack of conviction. On the contrary, Baxter was opinionated in his theology, which was not quite Separatist and not quite Conformist. Among his more than 200 works are long, controversial discourses on doctrine. Still, he believed society was a large family under a loving father, and in his theology, he tried to cut between the extremes. He eventually registered himself as "a mere Nonconformist" ("Nonconformist" was a technical term meaning "not Anglican"), breaking with the Church of England mainly because of the lack of power it gave parish clergy. Baxter also found himself as a peacemaker during the English Civil Wars. He believed in monarchy, but a limited one. He served as a chaplain for the parliamentary army, but then helped to bring about the restoration of the king. Yet as a moderate, Baxter found himself the target of both extremes. He was still irritated with the episcopacy in 1660, when he was offered the bishopric of Hereford, so he declined it. As a result, he was barred from ecclesiastical office and not permitted to return to Kidderminster, nor was he allowed to preach. Between 1662 and 1688 (when James II was overthrown), he was persecuted and was imprisoned for 18 months, and he was forced to sell two extensive libraries. Still, he continued to preach: "I preached as never sure to preach again," he wrote, "and as a dying man to dying men." Baxter became even better known for his prolific writing. His devotional classic The Saints' Everlasting Rest was one of the most widely read books of the century. When asked what deviations should be permitted from the Anglican Book of Common Prayer, he created an entirely new one, called Reformed Liturgy, in two weeks. His Christian Directory contains over one million words. His autobiography and his pastoral guide, The Reformed Pastor, are still widely read today. This 17th century Puritan devotional became wildly popular even after only a year following its publication. In some ways, the book’s popularity was somewhat of an anomaly. A myriad of new Puritan devotional books became available in bookshops every year, and Baxter’s book contained a standard exposition of the New Testament narrative. Baxter’s style, however, gripped people and urged them to share his book with others. In contrast to other contemporaneous Puritan devotionals, Baxter’s approach of communicating to his readers was a personal one. He addressed them as “you” rather than with such generic terms as “people” or “Christians;” he used a pastoral tone rather than a preachy one. 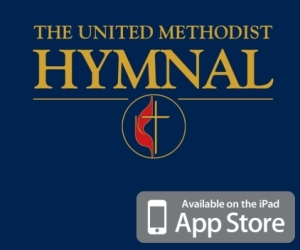 A century later, George Whitefield, the great Methodist evangelist, would cite Baxter’s Call to the Unconverted as one of the most refreshing pieces of Christian discourse from the recent past. 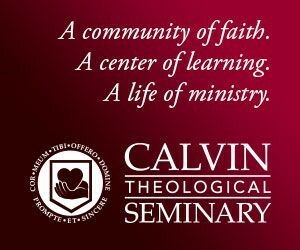 What does it mean to be a pastor? In his autobiography, The Reformed Pastor, 17th century nonconformist pastor Richard Baxter shares his own experiences to encourage other pastors in their vocation. The pastor's work is to glorify God and share the truth of His faithful ways. Pastors are called to obey God's commandments and seek His knowledge so that they may grow in His love. Baxter discusses the many facets of the pastorate: the nature of the work to be done, the difficulties faced by those who are called to do it, and the benefits reaped by those who do this work with God as their guide. In hope of inspiring others, Baxter graciously shares what he has learned about the pastoral responsibilities to God, to congregation, and to self. While suffering from a critical illness, Richard Baxter set his thoughts on heaven: Who is it for? What is it like? How can we prepare for it? Baxter defines eternal heavenly rest as the happiest state a Christian can experience. Baxter believed that heaven was a state of perfect freedom from evil where Christians can enjoy pure, unmediated union with God. Baxter encourages us to dwell on the thought of heaven, striving to accomplish the work of God in all that we do. By living a heavenly life on earth, Christians can better prepare themselves for the kingdom to come. Baxter retains a humble attitude in his descriptions, admitting that he is incapable of fully understanding the wonders of heaven. He explains that as humans, our ability to comprehend heaven has been tainted by the fall. But despite his imperfect knowledge of the truth nature of heaven, his meditations can help guide Christians as they think about the afterlife. Saints' Everlasting Rest provides readers with a beautiful glimpse of what heaven might be like.